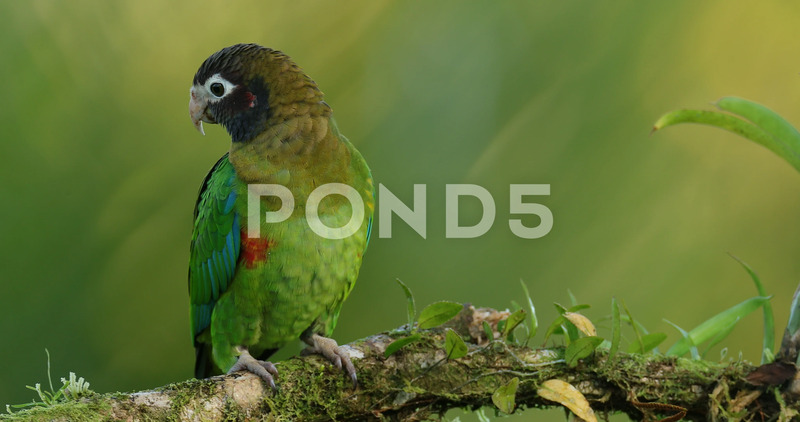 Description: Brown-hooded Parrot, Pionopsitta haematotis, portrait of light green parrot with brown head. Detail close-up portrait of bird from Central America. Wildlife scene from tropical nature.